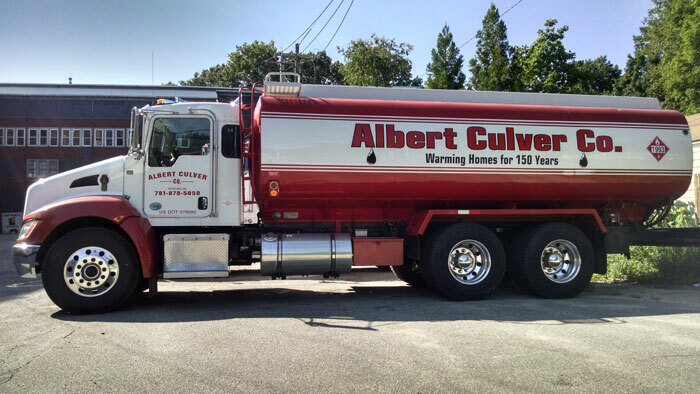 At the Albert Culver Company, we strive to provide the highest quality home heating oil, heating, and air conditioning service, and all types of energy equipment upgrades. You can count on Albert Culver Company to provide reliable and dependable service 24/7/365 days a year for all of your energy needs. Comprehensive heating and cooling service plans, pricing plan options, oil tank protection, and prompt payment fuel discounts are among the services we offer for our customers’ convenience and peace of mind. Enjoy the convenience of ording oil whenever it's easiest for you. Use our new online fuel ordering system to order oil now! Summer heat? No sweat! Book a tune-up for your current A/C system or upgrade to a new high-efficiency central or ductless mini-split air conditioner. These energy-efficient systems are designed for optimum comfort and money-saving performance. Learn more about the air conditioners we supply and install. Did you know that upgrading your current oil heating equipment to a new, energy-efficient boiler or furnace can cut your heating costs? Energy Kinetics System 2000 heating equipment can help you save up to 40% on our heating bills! Learn more about Energy Kinetics and the other equipment we offer. If you have a heating system emergency or a question about your equipment, trust that a professional Albert Culver Company employee will be at the other end of the line. We value our customers and our promise is to provide outstanding personalized service!